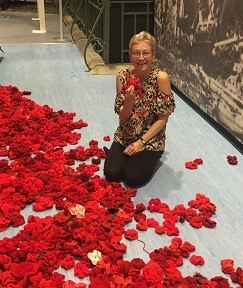 Our very own, Mrs Margett, one of our School Cooks, contributed a staggering 1379 knitted poppies to the exhibition at the Royal Engineers Museum in Gillingham. This was in addition to the 1,000 poppies Mrs Margett knitted last year. We are extremely proud of Mrs Margett’s efforts towards this project which has captured the imagination of the local community. Our whole school visited the exhibition last year and we highly recommend it. The exhibition is running until 21st December.